Today is two full weeks back here in Thailand. I’ve wanted to share a simple update since we returned but I just haven’t had the words. Really, I even lost a bit of the heart there for a few days. It was a strange, unexpected re-entry resistance (to everything Thai) I suppose, and I needed time to work – or wait rather – through it. This was our third re-entry and never has the experience been such as this. At the climax of it (what I’ve since dubbed the “terrible-no-good-very-bad-day”) the only thing that sounded worse than staying here was boarding another series of flights…to anywhere. But with much relief, praise and more praise + added praise a corner has been turned and we’re (slowly still) beginning to settle back in. 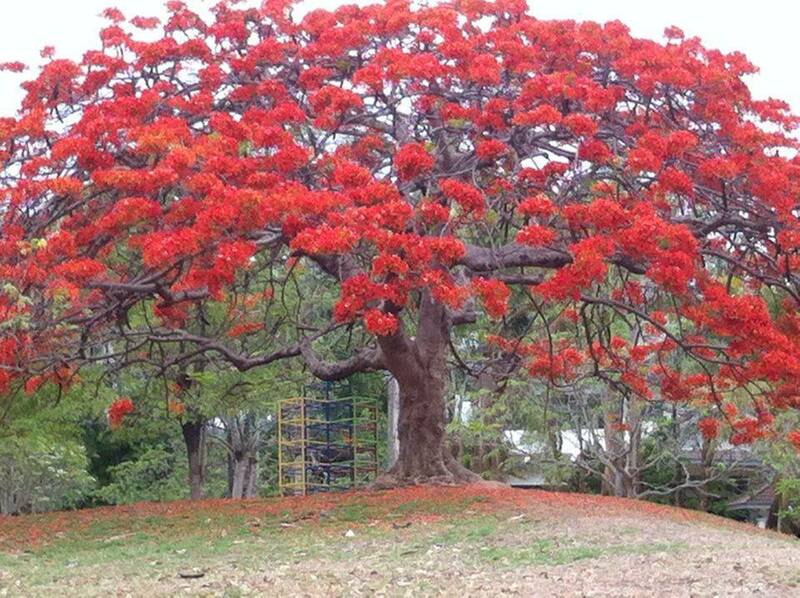 And on the way home from our house church this morning we saw this gorgeous tree in its fullest, brightest bloom. Beautiful, isn’t it? I couldn’t help but think of how we too are to bloom wherever we’re planted. So, here’s to that. We’re home, and it’s getting good to be home.